Runes have long been used as vital tools for transformation. The Norse employed them as tools for communication, and the Vikings would use them as wisdom before embarking on a journey or entering battle. Runic scholar Kaedrich Olsen reclaims the transformative power of the runes for readers today as a key to unlocking our potential for personal growth and our life's vision. Runes for Transformation is unlike any other rune book on the market, with Olsen's unique techniques and applications for this ancient alphabet including affirmations, NLP, visualizations, and meditation, as well as the historical background essential to embarking on this path. A highly respected teacher and transpersonal path worker, Kaedrich Olsen posits that the time for this "deeper working" of the runes has come and this will aid readers in both personal and collective evolution. 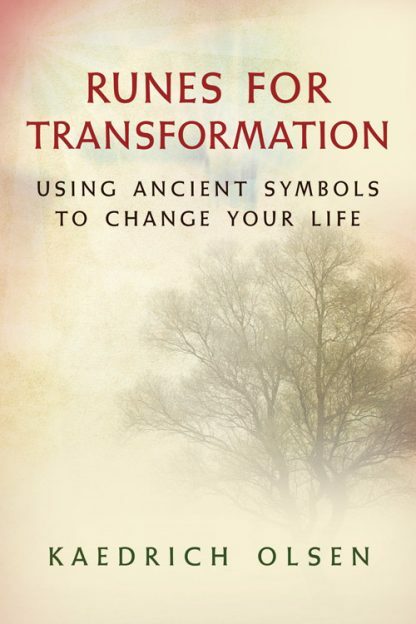 Runes for Transformation is a rich resource and excellent guide for readers to take the steps to change their lives with a boldly modern approach to the ancient runes and for "change that really matters." Believe you can change: If you have the attitude of "I'll believe it when I see it," nothing will work for you. You must dive into your transformation with both feet. It is not the belief in the runic system you need, but rather the belief in yourself that you can make the change. This belief in yourself comes when you make the full commitment to change. This is a complete cycle that is selfperpetuating and has a cumulative effect. The more you do it, the stronger your power becomes until your transformation is unstoppable. Kaedrich Olsen has studied the runes and Northern mysteries for over 20 years. He also studied spiritually based hypnotherapy and Shamanism in order to become a transpersonal hypnotherapist. Within this practice, he applies runic wisdom to develop powerful techniques his clients use to transform their lives. Kaedrich lives in Boulder, Colorado with his wife and two daughters, where he is an accomplished leader in the Nordic spiritual community.